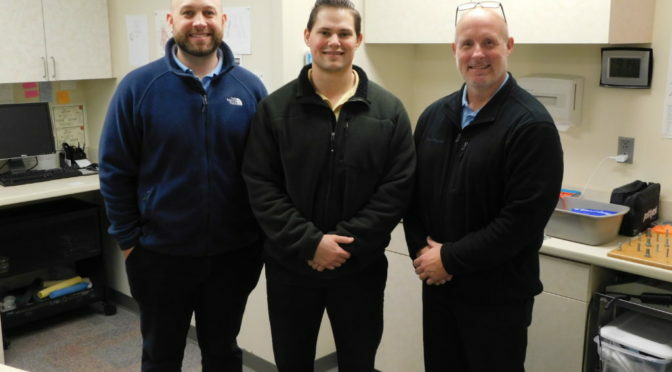 From left to right: Hugo Dahlstrom, Occupational Therapist; David Shank, Physical Therapist; Denny Gillard, Physical Therapist. Not pictured: Janet Smith, Physical Therapist, and Sarah Moore, Office Assistant. Mercy Therapy Services will get a new name Dec. 31, 2018, when Mercy Hospital Fort Scott closes. “We have not signed a lease agreement yet so we do not have an official start date, but we plan to be open immediately after Mercy closes on January 1,” Dahlstrom said. 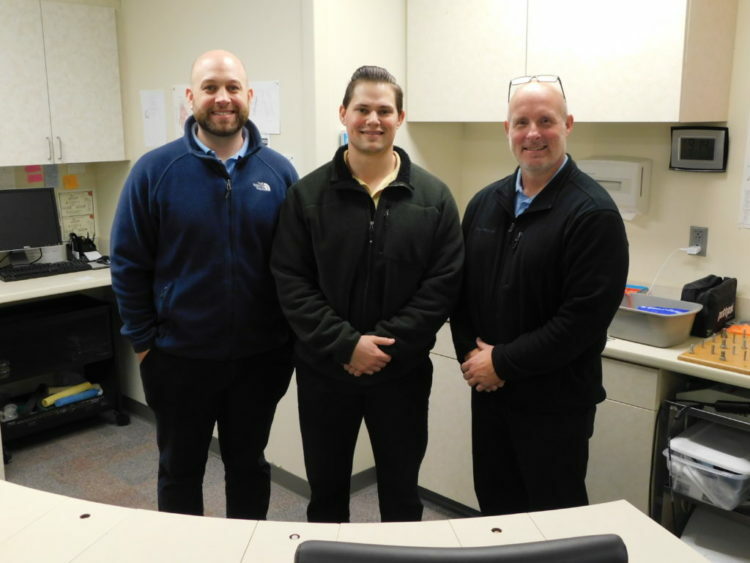 “We will continue to provide physical therapy, occupational therapy, fitness center memberships, personal training, and pre-work screens,” he said. The fitness center will still be available to the community. “We will offer memberships at the same rates as Health For Life,” Dahlstrom said. Will they be in Silver Sneakers? So glad to hear this ! I’ve recently had back surgery and hoping to do my therapy there.